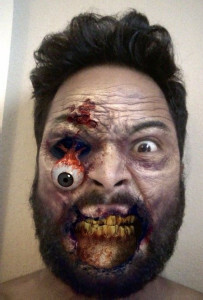 You are at:Home»BUZZ»Best Halloween App is from Windows Phone! 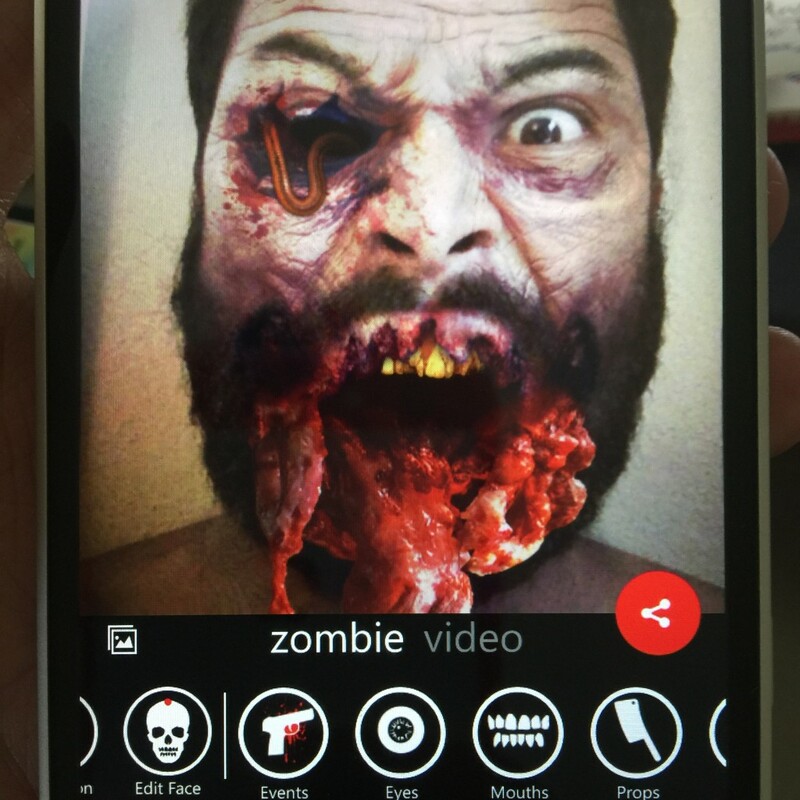 If you are looking to spruce up your social media accounts with a Halloween theme photos or videos, you may want to check out our favorite Halloween App – Zombify (yes, for Windows Phone). NOTE: Don’t forget to enter our Zelda TriForce Giveaway! Many people out there avoid Windows phones for the lack of apps, but this one stands out from the lots of Halloween apps out there. 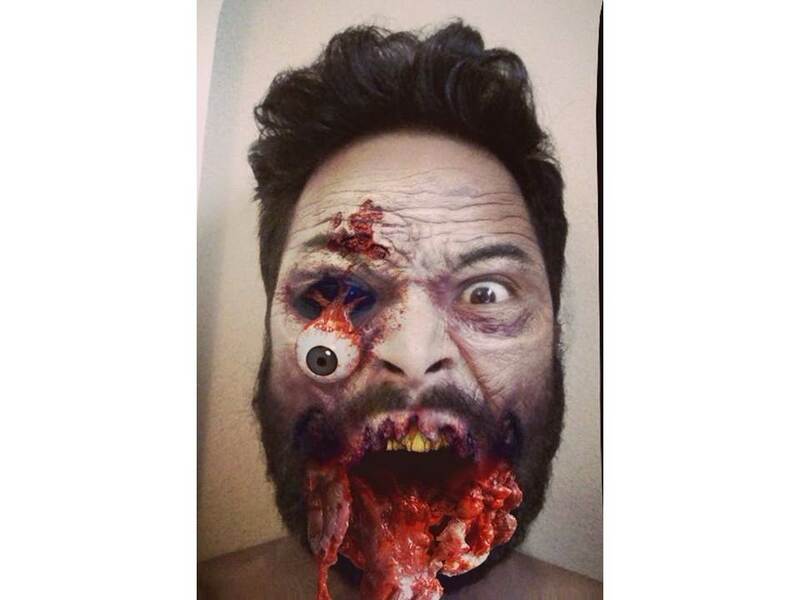 The free application works like by first taking a selfie. Then you can edit where it automatically detects your eyes, mouth and the shape of your head, just in case it didn’t fit quite right. Once that is done – there are many settings. Adding in props like a popped out eye ball, a knife to the skull, or creepier such as the open mouth (on the right). This one has a moving worm instead of an eyeball. This video is pretty awesome: Check it out on My Facebook Profile video! One downfall of the app is it will not save any videos, though I used another camera to record the video above. Any Windows Phone users out there? 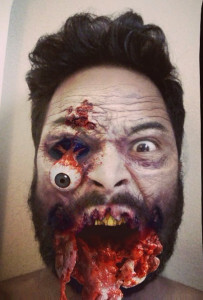 Show us your #ZOMBIFY! Tweet us @AsianGeekSquad!